For the first time in a long time, the sun is out and the snow is melting!Â Now, there are puddles to play in! 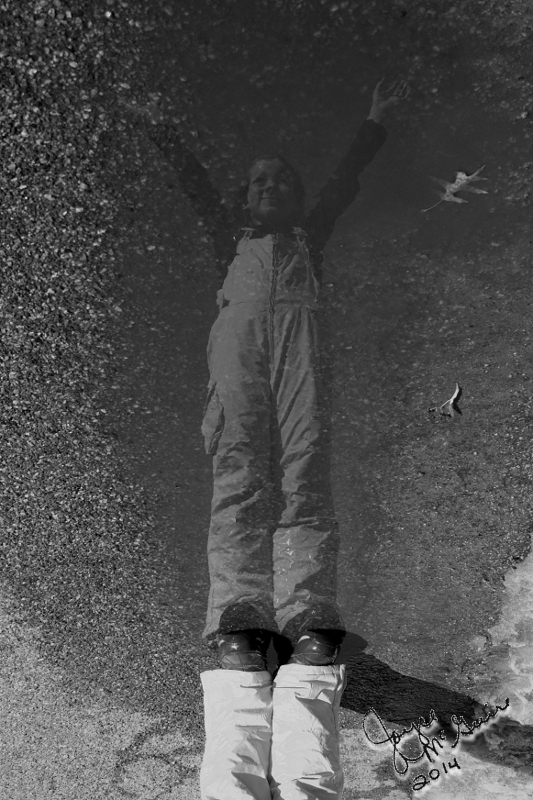 I took the picture of my daughter’s reflection in the puddle. Then I turned the picture upside down. Hi, I am a colleague of Allan. How did u capture this image without showing camera??? ?